Sport and Recreation in NTU “KhPI” – National Technical University "Kharkiv Polytechnic Institute"
A training and sports complex of the NTU “KhPI” plays a major role in lives of students and the university staff. 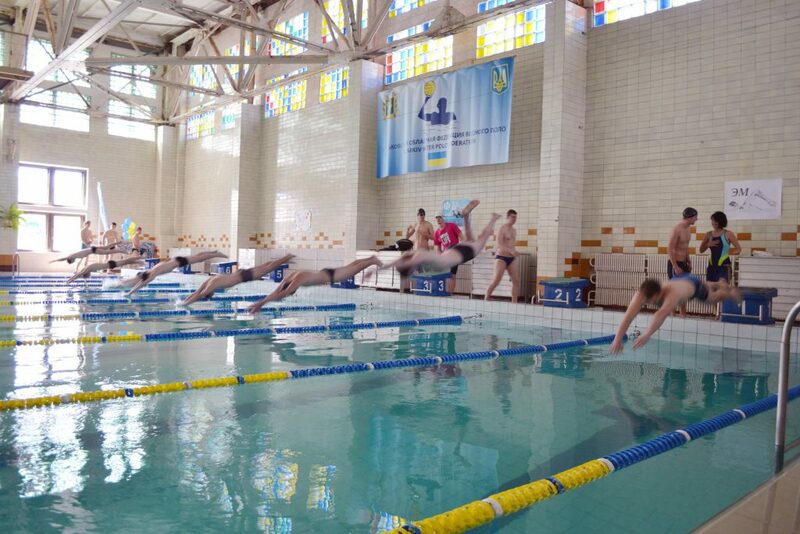 It is one of the best complexes in Ukraine, which solves tasks of the state importance, such as, physical education. Its main mission is a) declaration of a health way of living as an integral element of a general culture of an individual, b) counteraction against the factors having negative influence on health of the university members, c) development of competences for application of methods and forms of physical culture within their labour activities and recreation. Annually more than 10 thousands persons got involved in “Sport for Everyone” movement. The unique sports complex of the NTU “KhPI” is situated in the Kharkiv Youth’s park. It was built within 1985-1991 (with a general square of 8602 m2). The epopee of its building is a bright page of a biography of the whole university. The financing was provided by many heads of departments through the Ministries and authorities of the USSR and Ukraine. Thousands of students, hundreds of teachers and staff worked at the construction. Many improvements were introduced to create an artificial internal environment favouring full comprehensive sports studies and recreation. This is the only sports building in Ukraine that was awarded a State Prize in architecture, and a status of “Basis for Olympic training of national teams of Ukraine”. The University has an up-to-date sports complex with a track and field arena, 14 gyms, two swimming pools, including a 50-meter one, a gym for games, special grounds to practice in fighting, gymnastics, table tennis, aerobics, 3 gyms with training equipment, a stadium with grounds for tennis, mini football and basketball as well as for gymnastics, track and field athletics, football. There is also a conference hall, lecture rooms, a hall for studies of a special medical group. The teaching is delivered under more than 30 kinds of sports and forms of motion activities. Availability of such a basis gives an opportunity for students and university staff to be active in going in for sports, to show high results in different contests, and to have sportsmen well-trained in various kinds of sports. In 1953, a construction of a sports camp “Politechnik” (in translation – “Polytechnician”) with a general square of premises in 2906 m2 was launched in a pine forest in Figurovka village on the shore of Severskiy Donets river near the town of Chuguyev. A lot of generations of students and teachers hold good recollections in their memory about this legendary place for summer rest and for intensive trainings at the same time. Building and development of a sports camp “Studencheskiy” (in translation – “Student’s”), with a general square of premises in 6770 m2, in the Karabach ravine near the city of Alushta at the Black Sea was started in the middle of 1960s. During several decades of years essential financial resources have been invested in development of “Politechnik” and “Studencheskiy”. Among thousands of active sportsmen of NTU “KhPI” there are the Olympic and World champions as well as the winners of international and national competitions. They are: G.Artyomenko, T.Yena, A.Moskaltsov, V.Khomutov (mountaineering), G.Gafanovich (volleyball), A.Barkalov (water polo), D.Bezkorovaynyy, R.Babayev (armsport), G.Bliznetsov, A.Kaydash, A.Tverdostup, L.Tkachenko-Garkavaya (track and field athletics), Ya. Dementyeva (boat racing), N.Yesipenko (badminton), I.Kirichenko, I.Tselovalnikov (cycle racing), A.Rayevskyy, D.Slastin (basketball) and others.